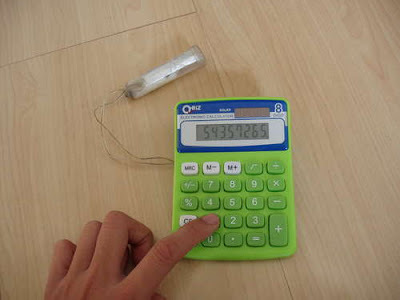 Instead of purchasing an eco-friendly water powered calculator and tossing out your old one, only for it to slowly rot in a landfill, you could make your own. It seems to be a whole lot more eco-friendly to convert your current items into something eco-friendly rather than replacing the gadgets you already own. Thanks to a tutorial, you could easily make your own earth friendly calculator. The tools you’ll need include a calculator, carbon or copper rod, a 1 by 1 inch piece of aluminum foil, a small cylindrical container, two 3 inch wires, multipurpose pliers and a glue gun. The materials are pretty basic, nothing you couldn’t get from your local hardware store. I imagine this will work like any other calculator powered by water. You just need to make sure to refill the battery with water when it’s needed. For more info click here..